Jessica Lillis, the Director of Youth Programs. Jessica has been working at Faulkner’s since February and has booked hundreds of pony parties, camps, field trips, and weddings. Read below to find out more about Jessica, her experiences at Faulkner’s Ranch, and the deep connection that she has to Ponies and Pancakes. Hi Jessica, can you tell us a little bit about yourself? I am originally from New Jersey, met my hubby in Florida and we relocated with both our sons to the Midwest in June of 2010. 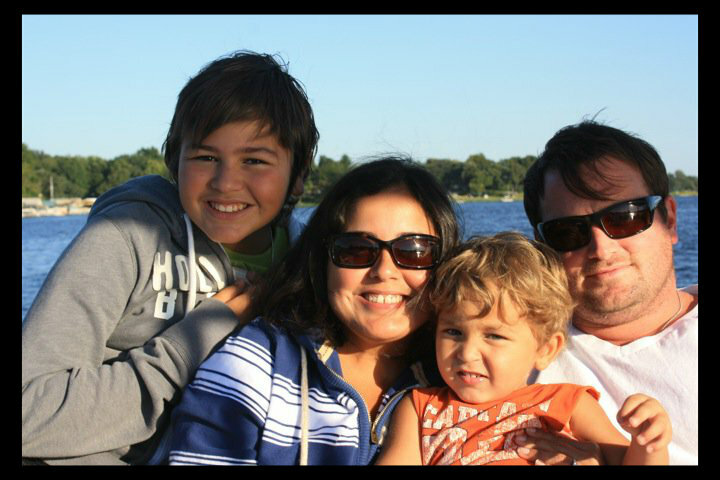 I enjoy being a mommy of 3 very special boys. Reading, cooking/baking, lounging on the lake are some of my most favorite things to do. I love spending time with family and friends. What is your favorite/most rewarding part of working at Faulkner’s Ranch? I have more than one, aside from being able to be part of putting big smiles on little cowpokes’ faces, I love working for such a wonderful family! The Faulkner's have really taken me in as their own. It feels like I'm around my own family. They are such wonderful, caring folks. Oh, we can't forget the special animals at the Ranch! I can't pick just one! We know that Ponies and Pancakes is a very special event for you. Can you please explain to our readers why? 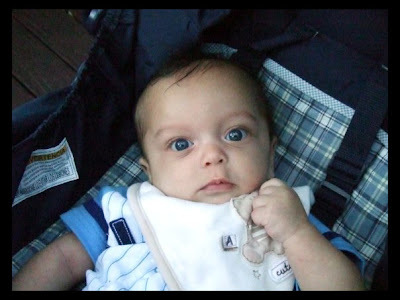 4 years ago, my husband and I lost our son, Kyle Anthony Lillis to SIDS (Sudden Infant Death Syndrome). He is survived by his twin brother, Corey, now 4 1/2 years old and his older Brother, Emmanuel, 15 yrs old. 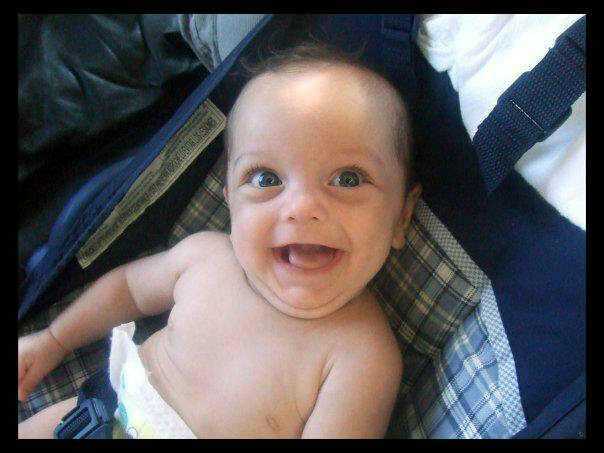 Kyle was a healthy, happy baby boy. 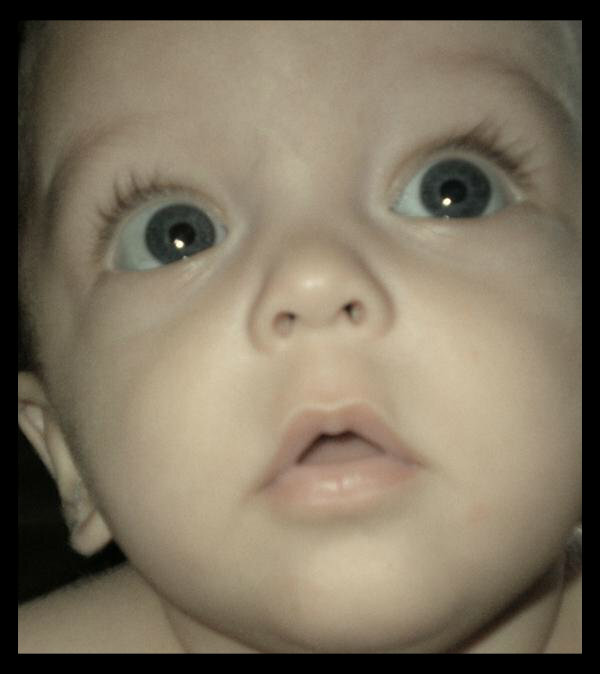 He was one day short of turning 4 months old. He was sound asleep when he passed. I miss him every single day that goes by. We keep his memory alive and talk about Kyle all the time. He is very much alive in our hearts. 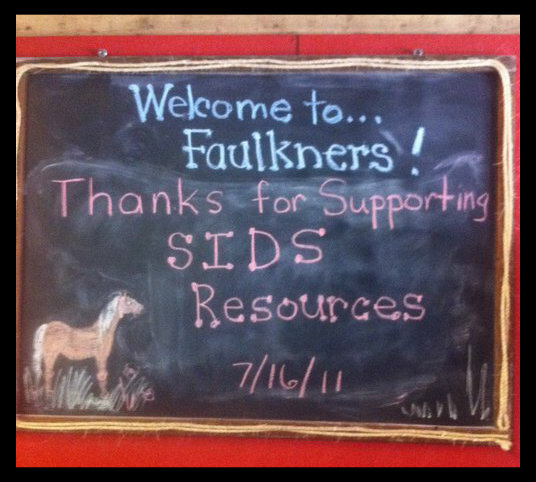 SIDS Resources of Kansas City became a special part in my life when I came to the area & met a fellow SIDS mom, Nicole Noblitt, who introduced me to the support group and helped me tremendously as a friend and mother of a SIDS baby herself. Last year, I wanted to put together a family-oriented fundraiser to honor our son, Kyle. I met with Christine and a SIDS Coordinator, Melissa Merriam to discuss how we could accomplish this. 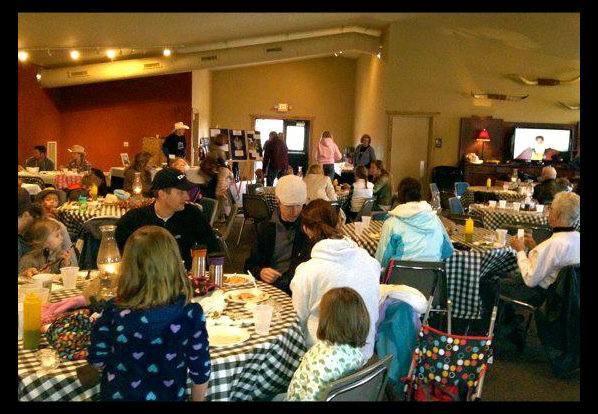 Christine Loneman came up with the perfect name for this event "Ponies & Pancakes." It was perfect! We had a great turn-out for the first year. The Faulkner's have really put their hearts and efforts into making this fundraiser a yearly event to help support a charity that is so dear to us. As you can see, there is a lot of love involved in this event!! We are so excited for this day and know that everyone will have a great time at Faulkner's Ranch! You get to work with lots of kiddos at the ranch so you must have some fun stories. What is one of your favorites? 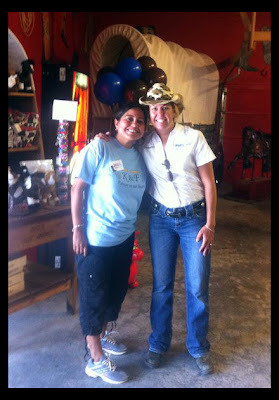 During Pony Camp I get to introduce myself and explain my job duties at the ranch. One of the kiddo's asked me "do you get to ride the ponies all day?" Watching the kiddo's on the ranch, whether it is a Pony Birthday Party, Pony Camp, Field Trips, or Picnics, I really love seeing the big smiles on their faces. 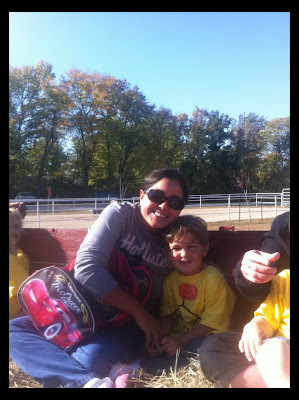 You are never too old for fun at Faulkner's Ranch. 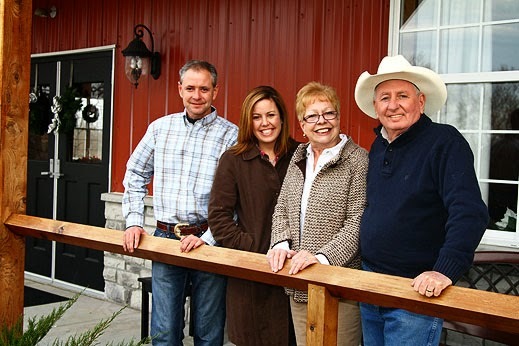 What are you looking forward to the most at Faulkner’s Ranch for the rest of 2012? 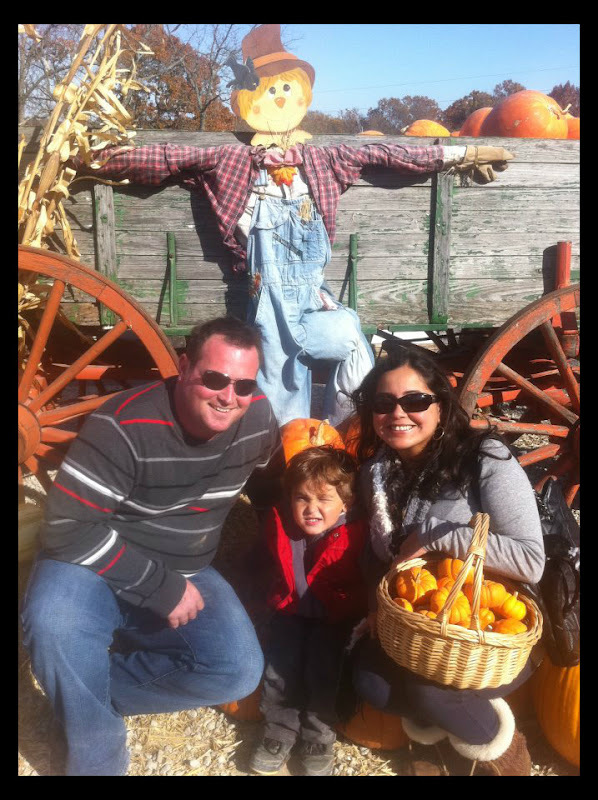 For starters, we are gearing up for the huge pumpkin season in October. Also, it really is fun booking all sorts of events and getting to work them as well. I enjoy seeing all our staff; it is like our own family working together. 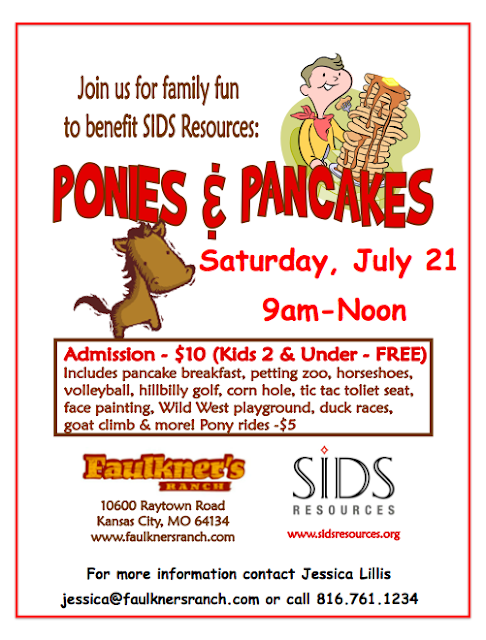 Come say hi to Jessica and Support SIDS Resources at Ponies and Pancakes this Saturday, July 21st from 9am to noon. Breakfast will be served inside the air-conditioned banquet barn and fun activities will follow! Breakfast includes pancakes, sausage, refreshing OJ, ice-cold water, and coffee. Once you chow down, trot on over to our air-conditioned activity barn complete with cow milking contests, a mechanical pony, rockin' ropers, and more! GameKart Mobile Video Game Theatre will also be at the Ranch for FREE GameKart Fun! Stay cool outside with our misters and sprinklers. You can even treat our ponies to some special summer pampering with our pony sponge baths! You don't want to miss out on this fun morning! We only swing our gates open to the public for very special occasions and this Saturday morning is one VERY special occasion. Jessica is an amazing and strong woman, it seems like she has finally found her calling in life, to be surrounded by children and make them smile, congratulations to Jessica and the Faulkner's family for this great program for their community.